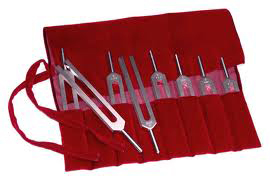 The College of Sound Healing recommends the BioSonic range of tuning forks. These tuning forks are made in the USA from space grade aluminium. We would definitely not recommend the cheap tuning forks made in India or China that are available on the internet. These tuning forks are made by pouring hot metal into a mold and are very poor quality. Machined forks made by Bisonoics are cut from a single piece of metal. The Chinese and Indian made tuning forks do not produce the pure harmonics that the BioSonic Tuning Forks do. We also recommended tuning forks made in the US by Medivale and Omnivos and the tuning forks developed by Eileen McKusick. There is a debate in sound healing circles about whether aluminium or steel tuning forks are best for healing. Steel tuning forks may work better if placed on the acupuncture points but more research is needed to determine which tuning forks are the best for different forms of healing. The College of Sound Healing embraces all approaches to sound healing as long as they are used with a loving intention and in a way that respects the client. On this page we include short articles by different practitioners who use tuning forks regularly in their practice. Dr. John Beaulieu says, "We get documented results with aluminium alloy tuning forks made to my specifications. You can read about them in the appendix of my book 'Human Tuning' and how they are made. I think that steel is superior in terms of getting a purer sine wave however this does not mean it is superior for therapeutic use." "I believe that the overtones that our aluminium forks ring are very important in therapy for many reasons. Steel tuning forks do not ring the overtones. Also steel forks are difficult to use and limited because you can not tap them together to get an overtone concert of sound." "I used to market steel tuning forks in the 1970's and early 80's. I like them a lot. We used quality steel out of Germany. However in the end they just did not work on many levels. First they were more expensive, triple the cost of the aluminium alloy forks. Second they did not ring overtones, and this is to me very important, and third they were more difficult to sound as an instrument and did not ring as long as the aluminium alloy forks." "I am not sure of the argument as to why aluminium alloy tuning forks are bad therapeutically. I would not recommend you use them for cooking food and at the same time the steel forks we had contained alloy that I would not want to use in cooking food. If it in argument about the quality of the sound wave as a pure sine wave, than steel is better. If it is a therapeutic argument than I would argue that a pure sine wave is not the best for therapy." "I can make this argument on many levels, from our science to the mystical where overtones were understood as the stairway to heaven. In Raga they are called shrutis and are said to resonate with Devas (Angels). (A shruti is considered the smallest interval of pitch that the human ear can detect). The best Raga singers never sing pure tones, they modulate their voice off key to invoke the presence of the divine. Therefore I spent years developing the right aluminium alloy to ring all the overtones for therapeutic use." Keith Oddy - College of Sound Healing Tuning Forks Tutor says "There are two main types of tuning forks used for healing, plain tuning forks and weighted tuning forks." 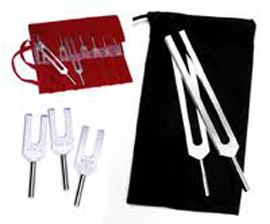 Plain tuning forks are mainly used for sound healing in the energy field around the body. The plain forks are used to create musical intervals. The BioSonic Tuning Forks use the 'Just Tuning' rather than the 'Equal Tempered Tuning'. This scale creates perfect mathematical ratios when the tuning forks are used together. For more information on the 'Just Tuning' visit this link. Listening to musical intervals has a healing affect on the body, mind and emotions. This is born out by numerous studies on the healing power of music. For more information please visit this article. The Fibonacci numbers are Nature's numbering system. They appear everywhere in Nature, from the leaf arrangement in plants, to the pattern of the florets of a flower, the bracts of a pinecone, or the scales of a pineapple. The Fibonacci numbers are seen in the growth patterns of all living things, from a single cell to a grain of wheat or the structure of a beehive. The simplest Fibonacci ratios are 1/2, 2/3, 3/5, 5/8. These relate to main musical intervals. The most popular BioSonic Tuning Forks are the C&G Body Tuners (C256cps & G384cps). When used together the C&G tuning forks create the 2:3 ratio. In music the 2:3 ratio is called the perfect fifth. According to ancient Chinese philosophy this ratio balances Yin and Yang, Earth and Heaven. Listening to the C&G tuning forks creates a feeling of deep relaxation. The 3:2 ratio is found in the human body when the height at the navel is compared to the distance from the navel to the top of the head. The ratio of 3:2 is also found in the blood pressure of a healthy person 120/80. There is some evidence that using the C/G tuning forks can help to normalise blood pressure. The 3:2 ratio is also found in many picture frames. Most digital cameras use either a 4:3 or 3:2 aspect ratio. Dr. John Beaulieu says, "One day I brought two tuning forks into the anechoic chamber and tapped them together. Immediately I observed that the sound of my nervous system realigned to the sound of the tuning forks. It was then that I realised that people can be tuned like musical instruments!" The BioSonic Solar Harmonic Spectrum is a set of eight tuning forks that use the ‘Just Scale’. Using the Solar Harmonic Spectrum Tuning Forks balances the body and the emotions. This set contains a full octave of tuning forks (C, D, E, F, G, A, B, C). When played together they create a series of musical intervals. Each musical interval affects the nervous system and the emotions in a different way. There are two ways to use the tuning forks. The first way is to hold them by the stems and firmly tap the ends of the tuning forks on your knees. Bring the two-prong part of the forks to about an inch away from each ear and listen to the pure tone they create. The second way is to hold the tuning forks by the stems and tap them together to create an audible sound with overtones. You can move the tuning forks around the body in the energy field. When you move the tuning forks around they will create beautiful ringing overtones. 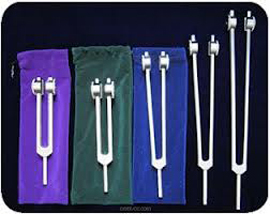 These are called BioSonic Otto Tuning Forks and are used primarily on the Body. The BioSonic Otto Tuning Forks help to re-align the physical body. They stimulate the nerves and release tension from the body. They can be used on muscles, bones and joints. They also work on the acupuncture points and can be used for Acupuncture, Acupressure, Reflexology and EFT. All the BioSonic Otto Tuning Forks have been found to produce Nitric Oxide in our cells. The 128cps - use for upper body work. The 64cps - use for lower body or sacral work. The 32cps - use to oxygenate the skin, for grounding and on the cranial sutures. The OM Tuner - use to achieve a state of deep relaxation in seconds. The 128cps tuner can also be placed on the acupuncture point 'Kidney 1' on the sole of the foot when the client is lying on their front. If two 128cps or OM Otto tuners are placed by each ear it creates an immediate state of deep relaxation. We encourage practitioners to work with their clients to find which tuning fork works best for them. Each person is different and will respond differently to the tuning forks. 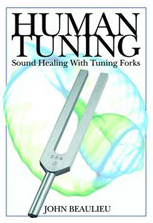 There are also many more tuning forks available on the market. For details please visit the Biosonics website. BioSonic Tuning Forks can be ordered from Keith Oddy.